Dante Alighieri (1265-1321) “Puro e disposta a salire alle stella=Pure and disposed to mount unto the stars.” Purgatorio, canto 33, 1, 145. 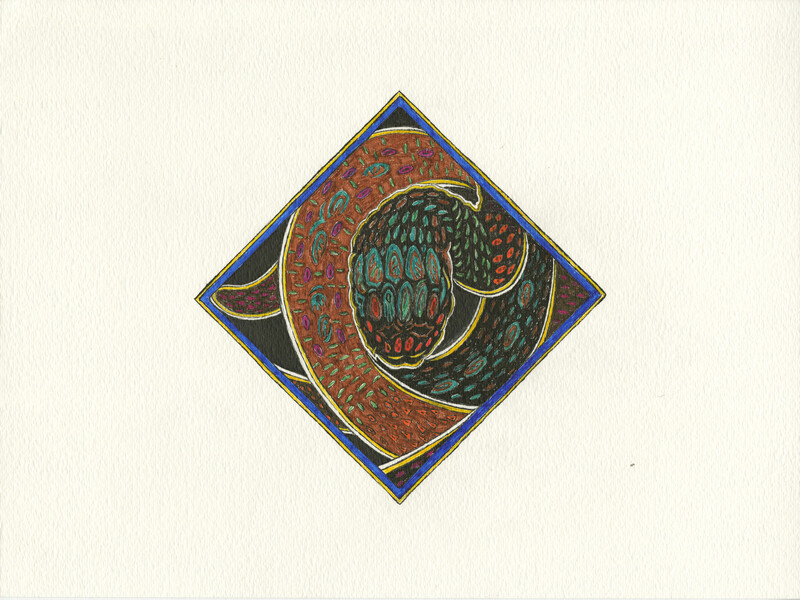 Creature of Celtic design, by Meredith Eliassen, 2016. I seem to be seeing diamond designs… perhaps it is a response to Zentangle squares, maybe a subversive sensibility to turn squares on edge. I am going to start a gallery of images where diamonds are featured somehow, but not to alienate any shapes… this is an inclusive website, I will try to expand my repertoire of shapes in the near future. 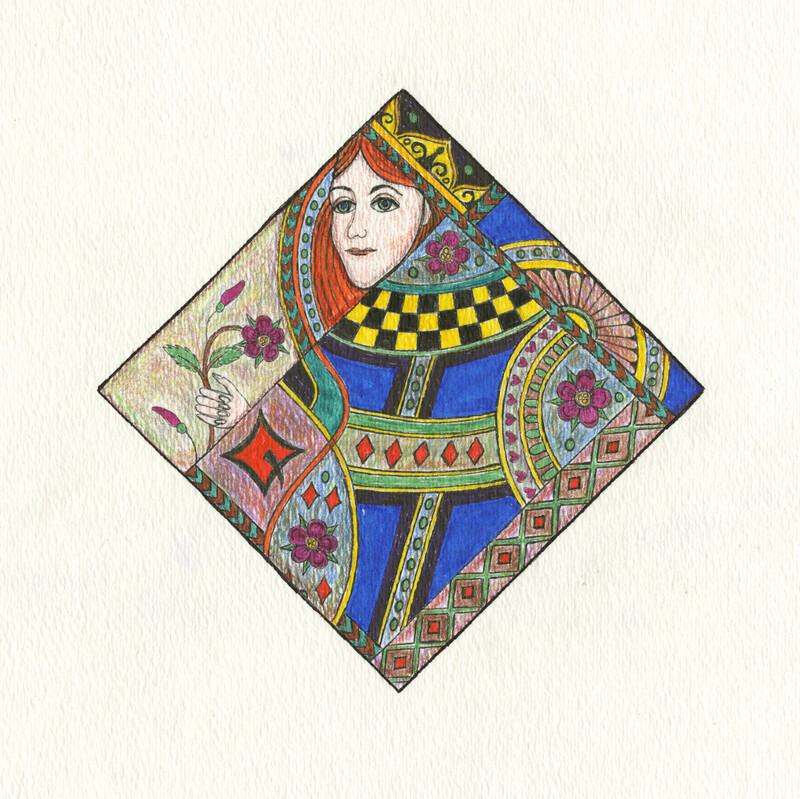 Adapted from a “Queen of Diamonds” in a deck of playing cards, this design is by Meredith Eliassen, 2015.